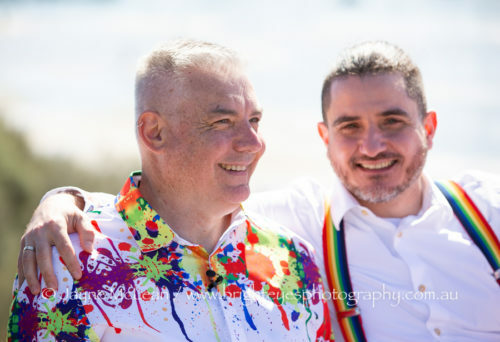 Such a special wedding to photograph and I was honoured to hear their speeches and get to know these husbands better. 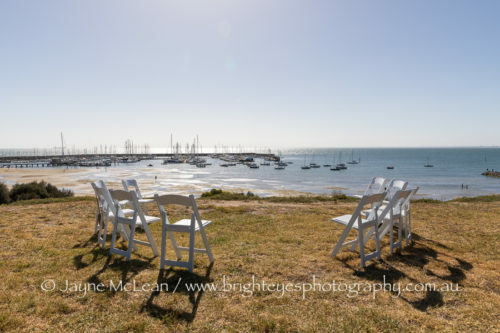 Their ceremony was on a grass cliff top overlooking the Sandringham pier and beach and it was the perfect sunny day for a beach wedding! 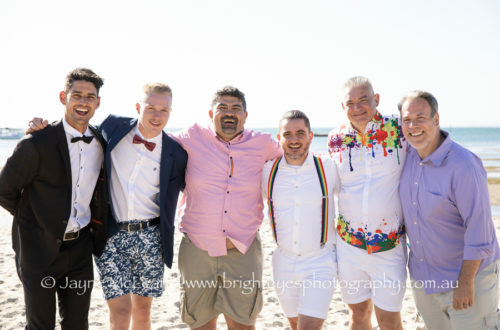 Shadi was the first one of my grooms to get married in bare feet – I’ve had grooms get married in thongs before, but not shoeless lol. 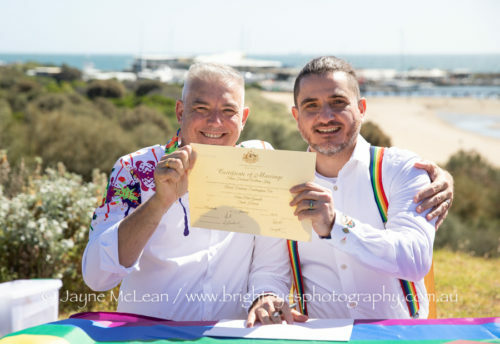 We are so fortunate in Australia that we have the opportunity to make weddings as personal and individual as possible – I always love seeing different things done! 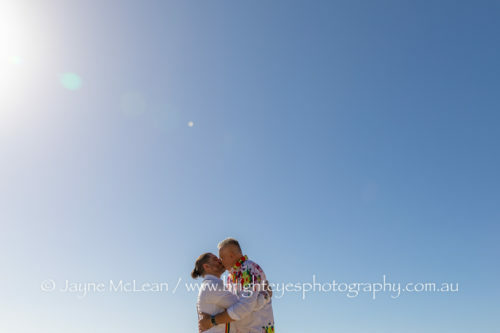 Lovely catching up with friends and past bride and grooms at their wedding! 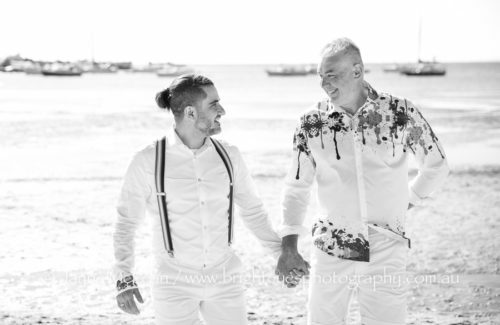 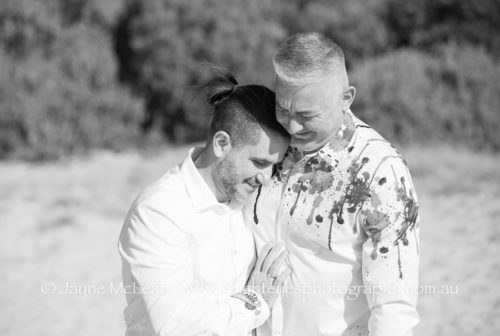 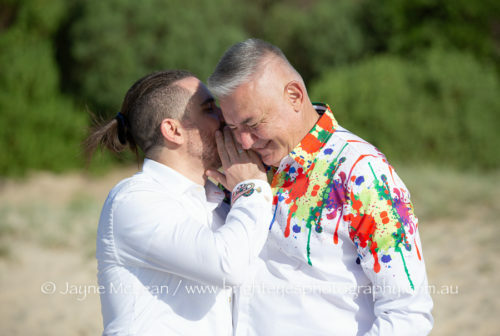 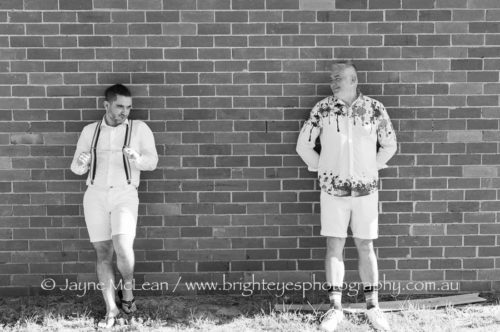 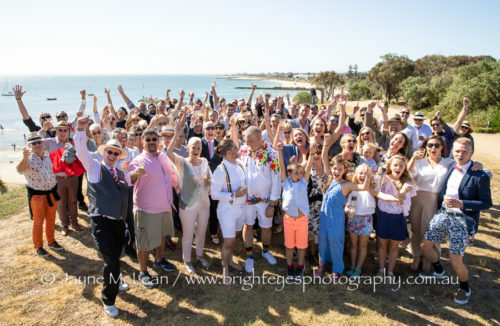 This entry was posted in Bayside Wedding Photographer, destination wedding, Melbourne wedding photography, Mornington Peninsula Wedding Photographer, Wedding Photography and tagged Beach Wedding, love is love, Sandringham wedding, sandy by the bay.